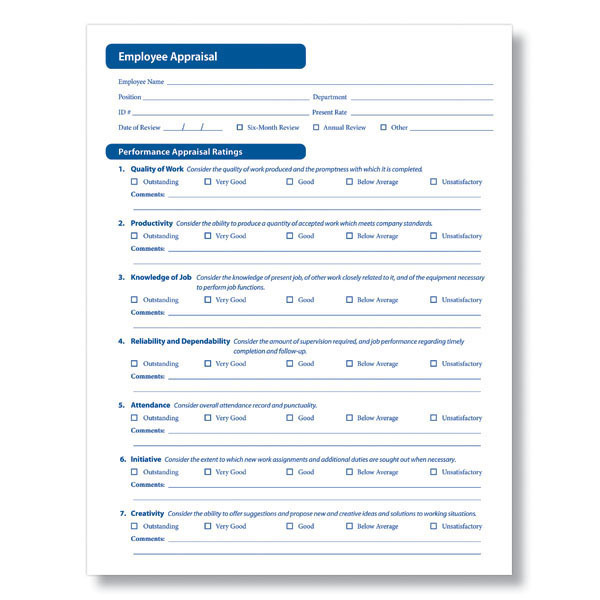 This Fill & Save Employee Appraisal Form is a PDF that can be filled out and saved. It covers nine performance categories. 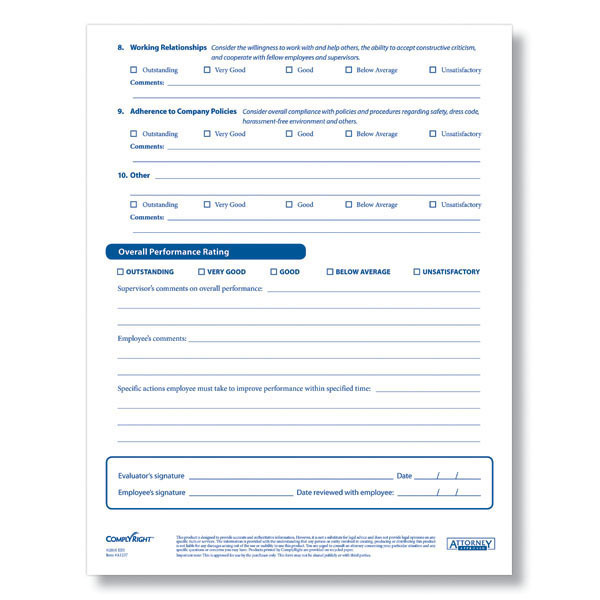 Supervisors use these printable annual review forms to score employees on a 1-5 scale from unsatisfactory through outstanding for each performance category. This is a Fill & Save eForm - Download the PDF of the annual review form, and then type info directly into fields. You can save the file and print if needed. 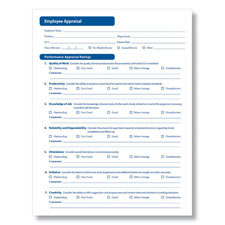 This form has an easy to follow format that is effective and efficient to use. It comes with a ComplyRight™ tip sheet for optimal, compliance use.